THIS ARTICLE IS COPYRIGHTED FOR MUCUSLESS-DIET.COM ONLY. ALL RIGHTS RESERVED. THIS ARTICLE DOES INCLUDE AFFILIATE LINKS. PLEASE READ OUR FULL DISCLOSURE POLICY. Elderberry grows on a tall shrub, elder tree, in clusters. It is from the family of Adoxaceae, also known as ‘Sambucus’. Though, its tree has many types, but it is native to most Europe and North America. For centuries, people have been using elderberry, as a folk remedy, in traditional medicines and as flavorings. In fact, in medieval times, its tree had the reputation of being a holy tree. Modern researchers reveal that these elderberries are packed with beneficial components. They contain organic pigments, tannin, amino acids, flavonoid, and et cetera. Furthermore, they are also the rich sources of Vitamin A, B, and C.
many diseases. Several researches have proven that this powerful antioxidant treats conditions like high blood pressure and colds. It also fends off major health problems including cancer and cardiovascular diseases. For that reason, you can use elderberry as a complementary medicine. Multiple health claims have already been made by numerous people these days. Perhaps, that’s why, there has been renewed interest in using elderberries to support health. Here are the top 5 health benefits associated with elderberry. Cancer is one of the most common and deadliest diseases. The number of new incidents per year is 454.8 per 100,000. Especially, when it comes to breast cancer, almost 1 in 8 women deal with it in their lifetime. Can be it treated with elderberry? Yes, it can be prevented by elderberry, as it is packed with antioxidant properties. This plays a major role in neutralizing free radicals. Furthermore, it also protects against the mutations of cells that lead to cancerous formation. However, in order for prevention to be effective, it is imperative to support its effects through proper diet and a healthy lifestyle. High concentration of vitamin C in elderberry also slows the progression of cancer. This vitamin improves the lifespan of patients too that are being treated with chemotherapy. Bear in mind that we shouldn’t use green berries at all, as they contain toxic substances. Only dark and mature berries are effective against cancer. Flu is a contagious viral infection that infects the respiratory system. Statistics show that it affects nearly 20 percent of the population each year. Unfortunately, there is no way to find out beforehand whether it will be mild or severe. 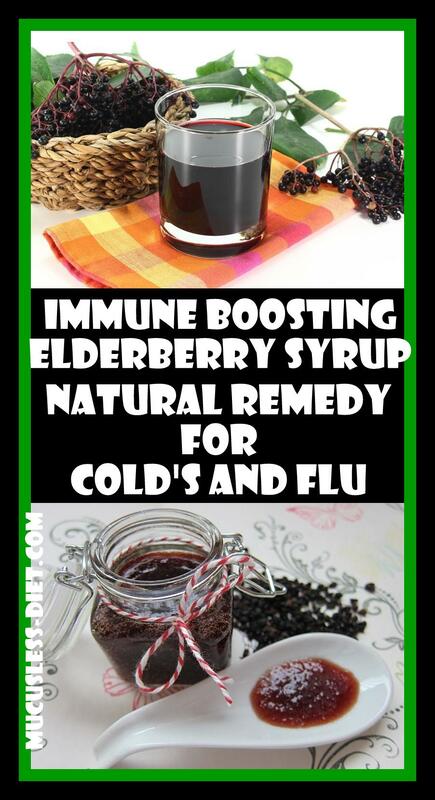 Luckily, elderberry is efficient against flu too. It lessens the symptoms of it by reducing congestion. Experts believe that its extract also plays a significant role in preventing it. It contains vitamin C that facilitates in shortening the flu duration by about 3 days. A 2004 study, conducted on 60 subjects, proved that patients treated with elderberry extracts indicated full recovery within four days. Its compounds blocked the activity of pathogenic microorganisms. They created a powerful defense system against it. Experts are still a tad unsure regarding how this blockage function works. But most of them think that it coats the exterior of the virus and makes it non-functional in the body. Pour the water into a medium saucepan and add in the elderberries, ginger, cinnamon and cloves. Bring the mixture to a boil and then cover and reduce to a simmer for around 45 minutes or until the liquid has reduced by almost half. Now, remove from heat and let cool enough to be handled. Mash the berries carefully using a hand blender, such as The Braun Hand Blender, which is my favorite. Discard the elderberries and let the liquid stand until cool to lukewarm. When the mixture is no longer hot, you can mix in your honey. Now you can add the syrup into glass jars to seal and store in. Dosage recommendation is 1/2 tsp to 1 tsp for kinds and 1/2 tablespoon to 1 tablespoon for adults once a day. If you get the flu then up the dosage to 3 times daily. Are you looking for some natural way to reduce cholesterol levels? 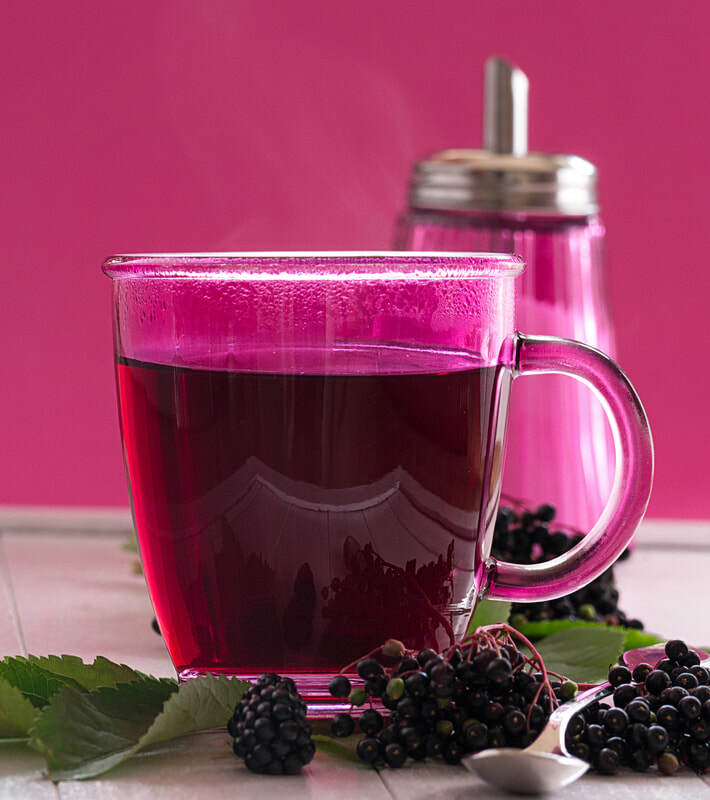 Elderberry is a promising weapon against high cholesterol levels. New studies are showing that its cholesterol busting properties are exceptional. In 2004, an extensive study on healthy volunteers showed it reduces levels of harmful LDL cholesterol in our blood. In 30-day trial period, it reduced the cholesterol levels by 15.05%. Though, in order to have these significant results, researchers believe it is pertinent to give high doses of it 30 minutes before the meal. Besides, consistent use of its extracts also promoted cardiovascular health among those subjects. They lowered the risk of heart attacks and stroke. If you are already on some medication for lowering cholesterol levels, it is better to consult your doctors first. Since, according to National Institute of Health expert, its combination with other supplements can cause a condition known as hypoglycemia. It is a state when blood sugar decreases to below normal levels. Elderberry has the ability to keep your skin radiant and juvenile too for a long period. That’s why, it made its way into a lot of cosmetic applications. There are lots of reasons that make it a perfect solution for a beautiful, smooth skin. For example, bioflavonoid in elderberry, including quercetin, rutoside, and anthocyanins, boosts your skin health. It fights spider veins and varicose veins by maintaining healthy blood circulation. These bioflavonoids also strengthen blood vessels and improve the delivery of oxygen to the cells. Apart from this, the significant levels of vitamin A improve the glow and tone of your skin. In case you are dealing with age spots or wrinkles, vitamin A of elderberry can prevent them as well. It acts as a potent anti-aging agent. A 2013 study, conducted by a team of German researchers, found that elderberry is a natural weight loss solution. Consuming its extracts daily not only helps in losing weight, but also keep you emotionally and physically healthy. These findings were confirmed at the Institute of Forensic Medicine and University of Freiburg, Germany too. Their researchers discovered high levels of dietary fiber in it too. 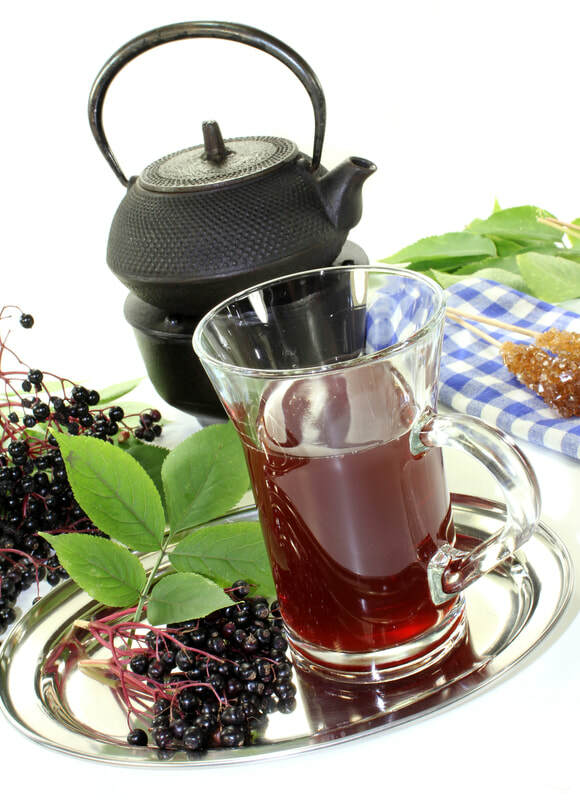 When it is combined with metabolism speeding effects of elderberry, it facilitates in losing weight quickly. There is another study published in Annals of Internal Medicine. It confirms the benefits of dietary fiber for weight loss also. Its researchers advise that if you have to make one change for losing weight, opt for dietary fiber. Aim to eat 30 grams of it each day. Dietary fiber assists in losing weight effectively and offers dozens of other health benefits as well. For example, it slows the rate sugar is absorbed into the bloodstream and keeps your blood glucose levels from rising too fast as well. If you don’t have this herb in your pantry, you are missing a lot of its benefits. It is 100% natural and with many blessings of health. Forget expensive moisturizers or artificial supplements. Start utilizing elderberry’s medicinal properties today, if you want to stay away from viral or chronic, fatal diseases. From syrups to juice and tea, it is available in many forms. You can even find elderberries in the form of jams and marmalade. My choice for dried elderberry is the Frontier brand. It is the one I order. You can also visit my store for a large selection of elderberry products.